Author’s note: This is the first in an occasional series on the Business of Snow. Look for future stories on what’s happening with ski specialty retailers, international opportunities for snow sports brands and the backcountry skiing/splitboarding boom. As fresh snow blankets ski resorts across the country, skiers and snowboarders must be feeling pretty justified in their strange superstitions. Throughout the season—but especially in late fall before the lifts start turning—mountain towns, ski resorts and retail shops host parties where attendees offer up prayers to Ullr, the Norse god of snow. 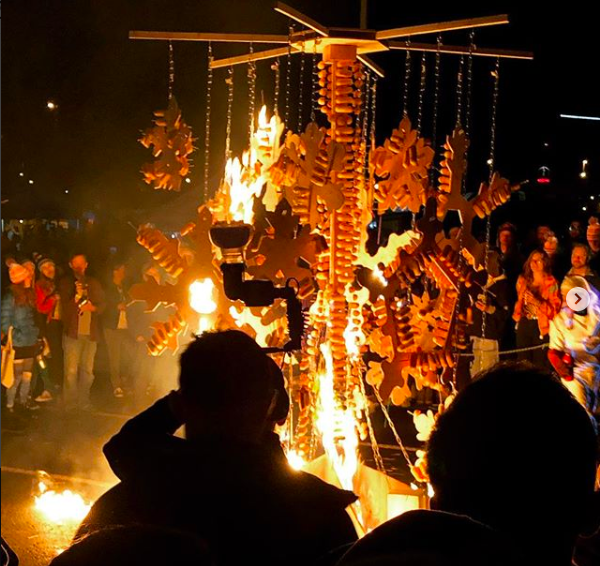 At these celebrations, with names like Bring on the Snow or Pray4Snow or some nod to Ullr himself, snow sports enthusiasts ritualistically burn old skis and snowboards and even Twinkies (shout out to REI Denver), hoping Ullr will repay their sacrifices with deep powder days. Pray4Snow at REI in Denver burned Twinkies in hopes of a deep winter. So far, that sacrifice (and many others) appears to be working. But riders aren’t the only ones who pray for snow. Ski resort operators have been known to ask the heavens for an epic storm that is sure to increase skier visits, fuel top-line growth and, most importantly, ignite the stoke of winter junkies. Granted, companies like Alterra, Vail Resorts Inc. and Peak Resorts Inc.—three of the largest ski area owner/operators in the U.S.—rely on much more than early season storms to attract visitors. Business is too important to let weather dictate success. Each giant regularly invests in snowmaking so their mountains can survive a dry spell, plus they’re regularly replacing lifts and adding new terrain to entice new and returning visitors. On top of that, they’re continually adding non-skiing amenities such as lodges or dining options so their resorts are welcoming to those who aren’t only interested in making turns. Still, nothing beats a good old blizzard—something Boyd, an avid skier himself, was quick to agree with—and the start to the 2018/19 ski season has many resort owners feeling like their prayers were answered. And momentum is building across the U.S. with numerous ski areas opening earlier than usual. 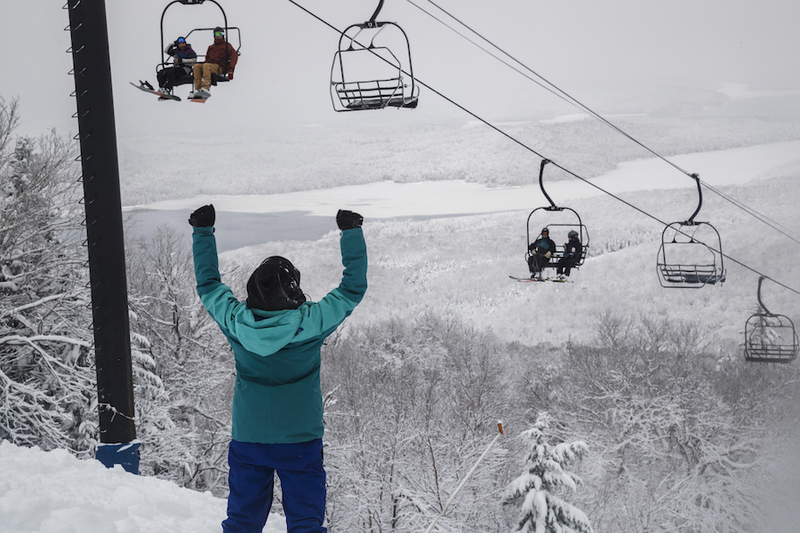 For example, Peak Resorts’ Mount Snow in Vermont and Wildcat Mountain Resort in New Hampshire opened October 27, the earliest opening dates in each resort’s history. In Colorado, many ski areas started spinning lifts ahead of schedule, including Aspen Highlands, Breckenridge, Eldora and Keystone, while others dropped the rope on terrain that sometimes isn’t accessible until mid-winter. Vail, for example, has already opened its back bowls, which didn’t see (legal) tracks last season until January. While the National Ski Areas Association doesn’t release skier day statistics until the end of the season, the organization’s president, Kelly Pawlak, said that based on conversations she’s had with several ski areas, pass sales and turnout are trending in a positive direction. The early snow should indeed be a boon for sales of the increasingly popular multi-mountain passes. As Alterra’s Rust noted, the last day for skiers and snowboarders to purchase an Ikon Pass is December 13, giving folks who might be watching the snow fall from afar the motivation needed to go ahead with a purchase. She added that in Colorado, the company’s Vail, Beaver Creek, Breckenridge and Keystone resorts “all opened early and continue to open more terrain,” including Breckenridge opening its Imperial Express SuperChair on Thanksgiving and Vail opening its back bowls the Sunday after Thanksgiving. Look for those numbers to improve following the current spate of storms on the radar. Andress also looked specifically at Vail’s portfolio, noting the company has 18 percent of terrain open versus 9 percent in November 2017. Plentiful snowfall at the start of the season is icing on the cake for resorts, according to Boyd, but even when a ski area has only a few trails open, there is usually a buzz surrounding November and December skiing. Sometimes, just making turns is enough to get people stoked.